In the Cardiogolf Video Series, available at Cardiogolf.com, you get drills and exercises to help you improve your swing technique and get a great workout at the same time. In this drill, watch Karen and Christina Ricci from Golf Survival Guides, demonstrate how taking practice swings with just your front arm only can help you improve your swing technique and develop strength in your upper body. Set-up to hit a shot, holding club with just your front hand. Make a backswing and follow-through, simulating the golf swing as much as possible. Keep your front arm extended on the backswing and then let it fold on the follow-through. Make sure that the shaft touches your front shoulder as you finish your swing. 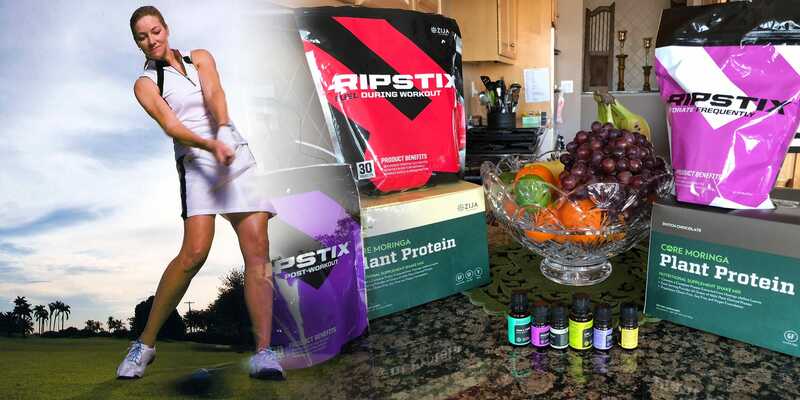 By simply adding a few Zija products into your daily routine and making simple diet modifications, you can dramatically improve your golf game and more importantly your health and well-being.